Troy Richardson currently serves as SVP & General Manager for DXC Technology’s Enterprise & Cloud Applications Offering. Previous to his current role, Troy served as Vice President & Global Sales Leader for CSC, which he joined in November 2015, bringing more than 30-years of technology industry experience. Troy brings a track record of requisite knowledge and experience in the areas of field sales, channel management, operational excellence, strategic planning, and overall sales performance and leadership. Prior to joining DXC, Troy served as Oracles Senior VP, Strategic Alliances. Troy was responsible for Oracle’s Global Strategic Alliances partnerships including the Oracle Diamond level partners. He was also tasked w/the expansion and growth of Oracles strategic solutions with these selected Global partners. Valery Lanovenko is Oracle’s vice president of Technology business for Australia and New Zealand. He joined Oracle in 2009 and has more than 25 years of proven technology industry and management experience. Valery Lanovenko understands how emerging technologies are disrupting old ways of doing business and creating new opportunities. He has a profound knowledge about how Oracle has embedded innovative technologies in every aspect of its cloud, enabling companies to transform their businesses and improve customer experience. Prior to his current role, Valery Lanovenko was vice president of Sales Strategy for Oracle Japan, responsible for the development of Oracle’s technology business and the management of large strategic deals in the country. He also worked as vice president of Oracle’s Central Europe region and as vice president and managing director of Oracle Russia and CIS. Before joining Oracle, Valery Lanovenko served as country manager of Apple Russia and as general manager for Microsoft Ukraine. Prior to that, he held numerous senior management positions at Hewlett-Packard in Europe and in its Asia-Pacific headquarters. Valery Lanovenko holds a Master’s Degree in Management from the BI Norwegian Business School. Chris Chelliah is group vice president and chief architect for core technology and cloud, Oracle Asia Pacific. He has more than 28 years of experience in the information systems industry; across different portfolios in Asia Pacific, Europe, and North America. In the Asia-Pacific market, Chelliah is responsible for the hypergrowth of Oracle’s infrastructure-as-a-service (IaaS) and platform-as-a-service (PaaS) cloud; leading the charge with the Autonomous Database offerings. He also owns business development for the core technology (database) business for the region. Chelliah holds a degree in computer and mathematical sciences, with first-class honors, from the University of Western Australia. Matt Bradley is currently the SVP, Product Development for Enterprise Performance Management at Oracle. Matt is an experienced executive with global hands on experience running large and small teams in product strategy and engineering. His current role covers Oracle’s EPM footprint – Planning, Budgeting and Forecasting, Financial Consolidation and Management Reporting, delivering both SaaS based solutions as well as for the more traditional on premise based deployments. He joined Oracle in 2007 as part of Oracle’s Hyperion acquisition. Rajan Krishnan is a group vice president in Oracle product development. He is responsible for outbound product management for Oracle Cloud applications across enterprise resource planning, supply chain management, human capital management, and customer relationship management. Prior to this role, he was vice president for Oracle industry CRM products. He came to Oracle via the Siebel acquisition in 2006. Krishnan has more than 25 years’ experience in product development, product strategy, product management, marketing, and sales across the information technology and pharmaceutical industries. Krishnan holds an MBA from the IMD business school in Switzerland, a post-graduate diploma in international trade from the Indian Institute of Foreign Trade, and a B-Pharm with honours from the Birla Institute of Technology and Science in India. Suhas Uliyar is a 20-year+ chatbot/AI & mobile industry veteran, known as an exceptional visionary, strategist and technology evangelist responsible for designing and developing enterprise mobile & intelligent chatbots, platform and tools. Suhas was named in the Top 100 Wireless Technology Experts by Wireless World in 2014. Suhas is responsible for driving Oracle’s Digital Assistant, AI & Mobile strategy and vision. He is a seasoned executive with years of technical and business management experience in enterprise software, artificial intelligence and machine learning with a successful track record as both an entrepreneur in small start-ups and an executive with major industry leaders. Suhas has held leadership positions with SAP, Motorola Solutions, Spring Wireless, Dexterra (Antenna Software) and Micromuse (IBM). Franco Ucci has been in the IT Industry for over 30 years, using Oracle since 1987. Since 1989, Franco has held various positions in Oracle Corporation from being a Technical Consultant through to his current position, of Senior Director, Cloud Platform Strategy, driving Adoption of Digital Platforms with the value of Data utilizing Autonomous Database, to accelerate outcomes. 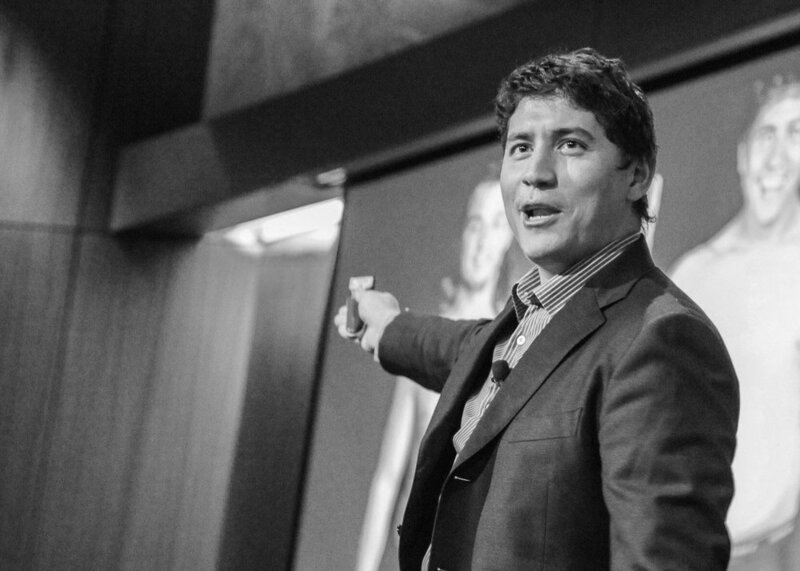 Franco enjoys using Rapid Build/Pilot Techniques, helping organizations visualize and realize business benefits, combining the Cloud, with On and Off Premise Applications. At Oracle, Scott and his team engage at strategic layers within our customers and business partners to discuss enterprise-wide Cloud (IaaS and PaaS) options that are in line with their business goals. In addition, his solution engineering team partner with the salesforce to assist customers that are navigating from legacy footprints to realise digital transformation and the path to information driven outcomes. As Senior Vice President and General Manager of Oracle's JD Edwards product family, Lyle Ekdahl leads development, quality assurance, product management, product strategy, content engineering, quality engineering, and business development for JD Edwards EnterpriseOne and JD Edwards World applications. Prior to assuming his current position, Mr. Ekdahl was Vice President from 2005 to 2009, responsible for product strategy and management for the full JD Edwards product line. He became General Manager in 2009 and Senior Vice President in 2013. Mr. Ekdahl joined the JD Edwards EnterpriseOne team in 2003. Before joining Oracle's JD Edwards team, Mr. Ekdahl held executive and management positions at Siebel Systems, Scopus Technology, Platinum Software, and ChannelPoint. With more than 20 years of experience in the industry, Mr. Ekdahl also has held product development, product management, marketing, analysis, and operations positions in several other global high technology companies. Mr. Ekdahl holds a business economics degree from the University of Washington. Clayton Seeley has been a fixture in the JD Edwards community for nearly a quarter of a century. His technical expertise has made him a leader not only in the product but also with customers and partners. Clayton has worked and learned from nearly department of the JDE organization: customer support, Global Advanced Technology consulting, business development, product management and most recently as principal architect for cloud in Lyle Ekdahl's application development team. Cliff Godwin is the Senior Vice President of Applications Development at Oracle, responsible for Oracle E-Business Suite. He joined Oracle in 1990 and has been a member of the Oracle Applications business senior management team for most of his time at the company. Prior to his current role, Godwin led the applications technology group responsible for ensuring that Oracle E-Business Suite effectively leverages Oracle's systems technologies, and for building the common objects and services used throughout Oracle E-Business Suite. Godwin holds MS degrees in mathematics and operations research from Stanford University and an MBA from Harvard Business School. Nadia Bendjedou is a Vice President of Applications Development at Oracle Corporation, with cross suite responsibility; go to market initiatives, and customer success activities. Nadia joined Oracle back in 1991 and her main objective is to help customers understand the value that each release of the Oracle E-Business Suite brings to them. Nadia is a three-time recipient of the Oracle Applications User Group 'Ambassador of the Year' Award (2007, 2009, 2010), and received the Oracle Applications User Group Lifetime Service Award in 2011. Nadia has also received the UK Oracle User Group (UKOUG) Inspiring Speaker Award (for UKOUG 2011 Conference). Nadia is the holder of a PhD in Computer Science from England. Ramchand Raman is Vice President of Product Development responsible for the Manufacturing & Supply Chain products. Raman has been with Oracle corporation, Redwood Shores, CA for 24 years. In his current role, Raman is responsible for design, build, and launch new emerging technology based cloud solutions such as Artificial Intelligence (AI) & Machine Learning based SaaS apps products as well as In-Memory based cloud SaaS solutions. Raman holds a Master's degree in Mechanical Engineering from Texas A&M University with a specialization in Robotics & Design for Assembly and a Bachelor's degree in Industrial Engineering from NIT, India. Senior Director of Applications Product Strategy and Product Management. Has a Bachelor’s Degree in Electronics Engineering and a Post Graduate Diploma in Human Resource Management. Has over 20 years of work experience in building and managing software. Present role includes responsibility for PeopleSoft ERP product suite for the Asia Pacific and European regions – helping formulate the strategy for new feature development, regional legislative compliance. Also manages outbound communication with customers and partners in Asia Pacific region for Oracle PeopleSoft product suite for the product development organization. Brett has 25 years’ experience delivering innovative, customer-obsessed technology solutions across a range of industries throughout Asia-Pacific. 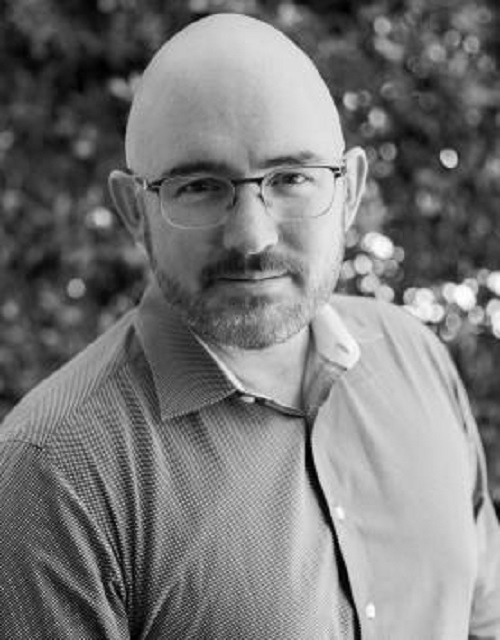 Prior to joining Blackmores in 2016, Brett was Chief Information Officer at Medibank where he created leading telehealth and population health initiatives to improve access to services and reduce stress on the Australian health system. Brett has also held executive IT positions at CitiPower, PageGroup, Saatchi & Saatchi and McCann Worldgroup. As Blackmores’ Chief Information Officer, Brett is responsible for technology and digital solutions aimed at customer outcomes and innovation, while driving operational efficiencies across the Group. He has an MBA from the University of Technology, Sydney, and is passionate about championing company culture to achieve world-class outcomes. In 2018 he was named The CEO Magazine's Chief Information Officer of the Year. 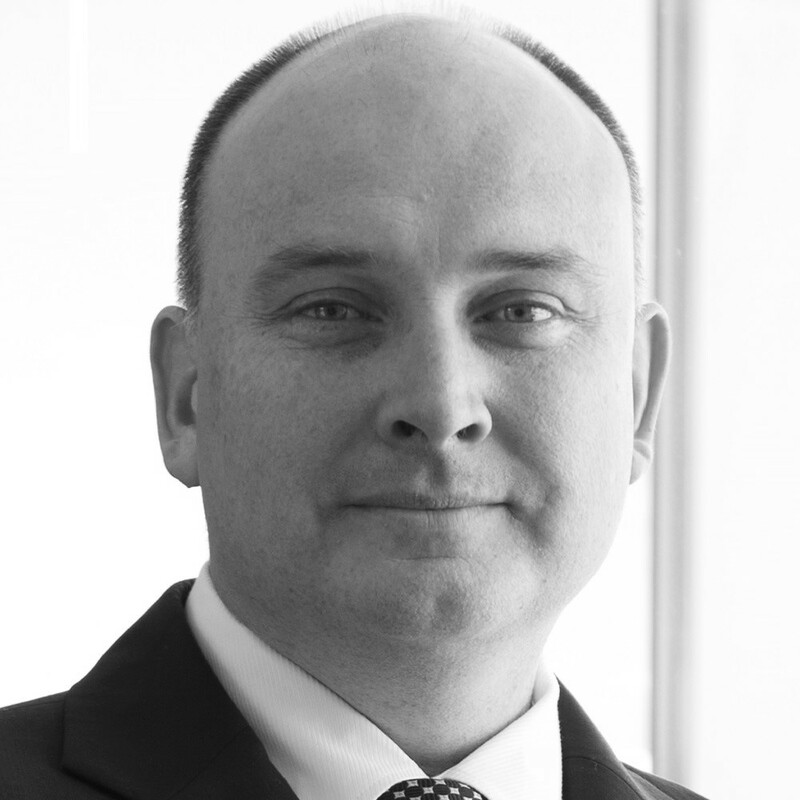 Doug Jenkins is the CIO of the Australian Prudential Regulation Authority (APRA). He has over 25 years of experience in IT software development and management, having worked at companies including Macquarie Group, JP Morgan and Calypso in Sydney, London and Paris. The Australian Prudential Regulation Authority is in the middle of a significant technology uplift program which has included: a desktop technology refresh; datacentre migrations; a data transformation program to modernise how data is collected, stored, analysed and published; and replacement of multiple corporate systems with integrated cloud based solutions. Doug specialises in ensuring business value is delivered through appropriate and effective usage of technology. Lee has lived and worked in South Africa and Western Australia. She has an Honours in Political Science from the University of KwaZulu-Natal and an MBA from the University of Western Australia. She has spent 18 years working for Tronox, which is a global integrated mineral sands miner and titanium dioxide producer. In addition to her experience administering Hyperion Planning for over 10 years, she has also been an EPM consultant for 3 years, supporting Hyperion and PBCS in various industries. Currently she is managing IT projects for Tronox, with PBCS the latest project delivered. 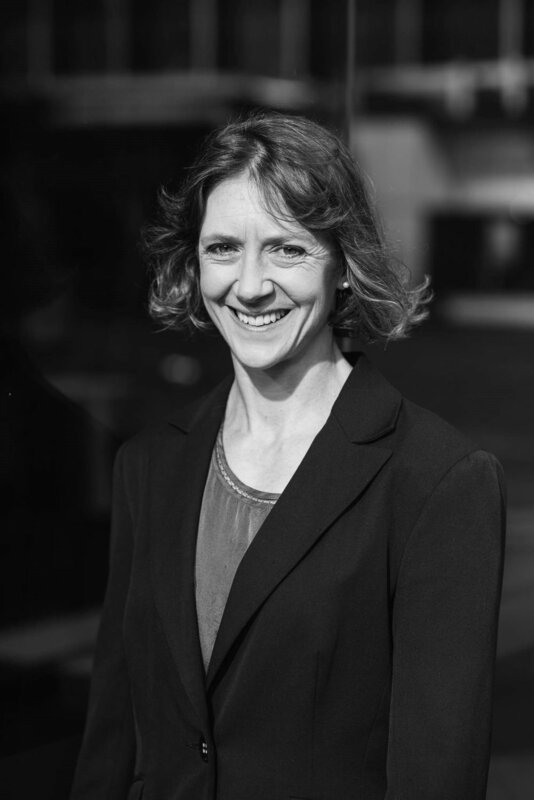 Genevieve Hutcheson is an expert on all things finance, property and systems at Landcom. As Finance Transformation Project Lead, she has redesigned end of life financial and operational processes and reporting structures to fit into a new Oracle SaaS ERP and EPBCS solution that provides project financial management, procurement, corporate and operational forecasting and reporting to the business. Genevieve has a diverse background having held senior finance roles at The GPT Group, where she was Head of Finance for 6.5 years, Mirvac, I-Med, Cochlear and more recently NSW Government. Alex is the Head of Applications at University of Technology Sydney (UTS), and is responsible for a wide portfolio of organisation wide applications, from the student facing applications through to the backend Oracle E-Business Suite. Prior to UTS, Alex has held a number of IT management and consulting roles, implementing a variety of application technology platforms (including Oracle) within the higher education, logistics, energy, and financial services sectors. Alex holds an Executive MBA from UTS and a Bachelor of Engineering from Sydney Uni. As a Principal Consultant at Fire and Rescue NSW, Michael leads the review and analysis of the organisation’s business intentions, services, processes and information needs to identify changes that lead to service improvements. This is specifically for the design, scalability, performance and availability of all Fire & Rescue database systems. Prior to Fire & Rescue NSW, Michael worked as a database architect for TAFE NSW and as a Senior Database Administrator for TAL Australia. He has a postgraduate degree and experience managing large projects and teams, with a clear vision on architecting and implementing data and database policies and standards across multiple technologies. Jenny Renna is the Business Analyst, Financial Services at Origin Energy. She has been consulting for 25 years, involved in all aspects of financial systems implementation projects and process improvements. Jenny’s Origin Energy career began in 2017 with an Oracle ERP project that included piloting Reports Wand and consolidated more than 30 SQLs into 12 workbooks. Since then, Jenny has been instrumental in developing reports and setting up time-saving templates for many different users. Today, Jenny serves as the key Reports Wand developer. Kubra Chambers is the Director of Institutional Analytics and Planning (IAP) at the University of Sydney and has held this position since January 2015. She leads a dynamic analytics team that supports the University’s direction in strategic decision making to enhance the University’s leading position. Kubra and the IAP team also ensure that the University complies with Government regulatory obligations for funding and reporting. Additionally, IAP manages student fee, load and course planning processes, including market analysis, to ensure that the University has robust academic and financial plans in place. Kubra began her extensive career at PWC as an assurance auditor and then at the University of Sydney in 1998 as an audit manager before accepting the role of Financial Controller and going on the become the Director for Financial Control and Treasury. Ryan Klose is currently the Executive General Manager of Corporate with National Pharmacies, with wide ranging executive responsibilities for: Finance, Membership, Digital, IT, Supply Chain. He has over 20 years of experience in senior executive roles specialising in technology, supply chains, consumer and strategy. National Pharmacies have enjoyed a series of innovation and excellence awards in SOA, Mobile, ERP and Bot technologies. Technology has been the catalyst for enabling new ways to connect with customers as the lines of online and physical become blurred into a modern National Pharmacies experience. Ryan is a commercially diverse leader able to deliver on vision, equip organizations with the technology and know-how to change traditional IT mindsets, and give IT a new pace to deliver technology projects for the organisation. Tim Roulston is the National Services Manager at Ravensdown, focused on customer facing digital applications. Prior to this, Tim lead the JDE Cultivate two-year long program to transform Supply Chain Planning throughout the Ravensdown business. Mahmood Nasir is the National Asset Manager for Ravensdown. He is responsible for delivering a companywide change in its culture and creating a strong engagement amongst Ravensdown and its Suppliers through the implementation of JDE CAM and a CAM Mobile Application. JDE CAM forms the foundation for Ravensdown to develop further maturity in its business processes and Asset Management practices. The implementation is focused on delivering a user friendly digital solution to help the business manage its assets across New Zealand. Employed by ClearView fours years ago to transform the finance function, Dylan is the Head of Business Planning and Data Analytics at ClearView Wealth Limited. In the transformation process he has encompassed Business Intelligence, strategy and data all into his mandate. Dylan is a data culture evangelist, preaching a message that business decision be made on the basis of objective data backed debate. Dylan’s 15 years of experience includes stints at Macquarie Bank’s Corporate Asset Finance and Real Estate Structured Finance Divisions, as well as KPMG where he qualified as a Chartered Accountant. Matt joined ANZ November 2011 and has international BPO experience working for Capita in the UK for over 6 Years. Matt has experience leading large Contact Centre Teams in Financial Services and between 2011 to 2014 grew ANZ’s Wellington Hub from 100 to 350 Staff. In his current role, Matt is responsible for transforming the Customer Experience provided by ANZ’s NZ Contact Centre. By focussing on Customer Journey’s and creating Strategic Insights Matt and his team have launched additional channels, developed and implemented key initiatives, which have lifted productivity and improved Customer Experience, these include Live Chat, Voice Biometrics and Speech Recognition. Neale Clarke is Manager Forecasting & Inventory Costing at Australian Vintage Ltd (AVL), a major player in the Australian Wine Industry. He has over 30 years business experience in a variety of mainly Finance roles, predominantly in manufacturing from Whitegoods to Automotive, and now in Wine where he is in charge of the global forecasting process for both the one to five year bulk wine requirements, and for the weekly bottling requirements for finished products, as well as running the production accounting function for AVL’s bottling plant. He has extensive IT experience, particularly as a Business lead in a number of ERP and other systems implementations. Foad Fadaghi is Telsyte’s managing director and principal analyst. He has over 20 years’ experience reporting and analysing the technology industry. Foad has been a key insights partner for leading Australian and multinational companies. He is a strong presenter and public speaker with his research often quoted in the media. His experience crosses over into journalism where he was the former technology editor for BRW magazine. Foad was formerly a Jupiter Research analyst and managing editor of Jupitermedia. Most recently Foad co-authored “Digital Nation”, a graphical book providing insights into technology adoption in Australia. Foad has a Bachelor of Commerce from UNSW. Seelan Nayagam serves as DXC Technology’s (NYSE: DXC) vice president and general manager of the Australia and New Zealand Region. Previously, Mr. Nayagam was CSC’s vice president, general manager and managing director for Australia and New Zealand. He is a seasoned executive with a reputation for revitalizing large multinational organizations. He is also a member of many steering committees and advisory boards and regularly advises chief executives and other leaders on how to increase business value through technology. Prior to his tenure at CSC, Mr. Nayagam held senior executive positions with IBM across the Asia-Pacific region and in the organization’s growth markets covering Central and Eastern Europe, Africa, and South America. Most notably, he served as IBM’s vice president and general manager for application services for the Asia-Pacific region. Mr. Nayagam holds a BS (honors) in computer science and accounting from the University of Buckingham in the UK. 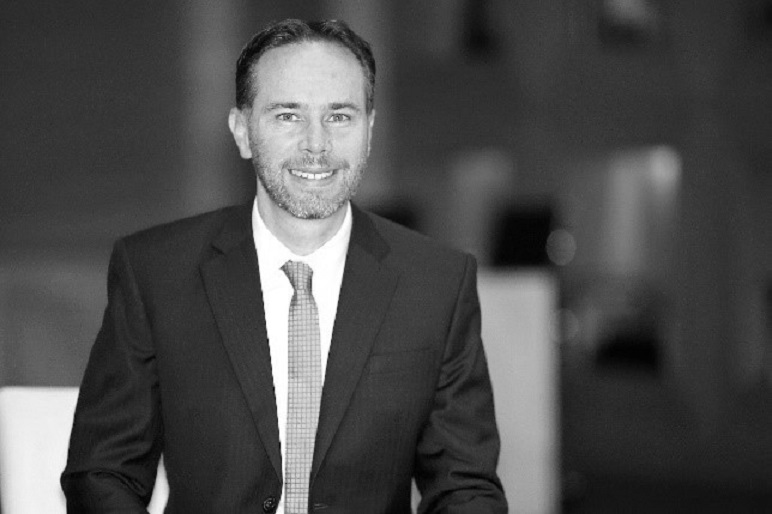 Richard James is the newly appointed Practice Director of DXC Red Rock. Richard was previously the DXC Industry General Manager for Higher Education and has over 18 years’ experience with DXC through his heritage with HPE, HP and EDS. He has held a diverse range of leadership roles, with a strong track record of delivering sustainable business results. Richard was born and raised in Johannesburg, South Africa and educated in London and Bristol in England. He has a BA (HONS) Financial Services degree and currently lives in Sydney, Australia. Marc-Andre is Solution Director for Supply Chain Management at DXC Red Rock. He accumulated over 25 years’ experience in delivering enterprise solution across manufacturing, supply chain planning, distribution and asset management. Marc-Andre is an engineer by trade and has previously worked as a process engineer and a business transformation consultant. Ahmed Hafez is an Oracle EPM & BI Specialist with over 12 years professional experience in Australia and Internationally, working across various industries - mining, oil & gas, education, government, financial institutions to name a few. As a Practice Manager at DXC Technology, Ahmed utilizes exceptional leadership qualities and abilities to set strategies, design solutions, implement best practices and lead clients to achieving their desired solution and outcomes. Ahmed has been recognized for his technical expertise by Oracle as part of the Oracle Ace Program. He successfully takes complex technical problems / solutions and elegantly breaking them down into clear and easy to understand explanations and concepts, thus bridging the infamous gap between the business and the technical solutions required to meet the business needs and requirements. Stuart Long is Chief Technology Officer and Enterprise Architect Manager of Enterprise and Public Sector for Hewlett Packard Enterprise in South Pacific. Stuart is responsible for driving HPE’s Hybrid IT Vision and Strategy for top customers in Australia and New Zealand. Prior to his current role, Stuart was Chief Technology Officer and Senior Director of Systems Sales Consulting for Oracle Systems Asia Pacific and Japan. He worked extensively with Oracle Enterprise customers throughout Asia Pacific and Japan designing and deploying mission critical solutions in Telecommunications, Finance, Manufacturing and Government sectors. With over 20 years of experience in the Asia Pacific region he possesses a wealth of knowledge in Solution Design and IT Architecture. Gordon started his career as a Management Consultant working globally on various process reengineering projects. Then, 22 years ago, Gordon moved into the IT industry and has since performed various roles delivering, designing and managing E-Business Suite projects. More recently Gordon has played a key role in the roll out of the ConfigSnapshot E-Business Suite / Cloud configuration automation and control application globally. Marcus Hughes is Head of Strategic Business Development at Bottomline. He supports the executive team in Bottomline’s strategic planning and helps corporates and banks to streamline payments & cash management, while maximizing the benefits of innovation and new regulations. Marcus held senior roles with NatWest and Banco Santander in trade and supply chain finance, payments and corporate lending. A thought leader on working capital optimization, Marcus has authored white papers and articles on the future of payments, SWIFT, supply chain finance, blockchain and Open Banking. Marcus has a BA (Hons) and MA from Cambridge University. Matthew Bertram is a business leader and solution specialist, for software that helps our customers mitigate risk and save costs, delivering high quality applications faster and keeping infrastructure and applications up and running. Matthew evangelises and executes the product group sales strategy through our sales, marketing and channel partners. He works on go-to-market strategy, pipeline development and large deal initiatives. He has spent over twenty-five years working in IT and with enterprise software. His experience as a manager, change agent and solution consultant at Hewlett Packard Enterprise, HP, Mercury and Accenture has given him a comprehensive background in application delivery, project and portfolio management, IT operations, information governance, process improvement and sales. Matthew holds a Bachelor of Applied Science (Information Management) from Deakin University in Australia. He is married with two daughters and is based in Melbourne. John has been working as a doctor in NSW Health for 25 years, and developing Digital Technology for over 30 years, ranging from small business entrepreneurial design work, to a role as the inaugural Chief Clinical Information Officer of NSW Health, responsible for enterprise scale delivery of digital clinical solutions. He is currently working for DXC as the Chief Medical Director for their ANZ Healthcare and Life Sciences division, and also as a consultant in digital health, in both roles leveraging his wealth of experience of health care in Australia as a supplier, purchaser, health care worker, executive and patient. Patient centricity, human factors, user centred design and strong stakeholder engagement continue to be key features in all his work. 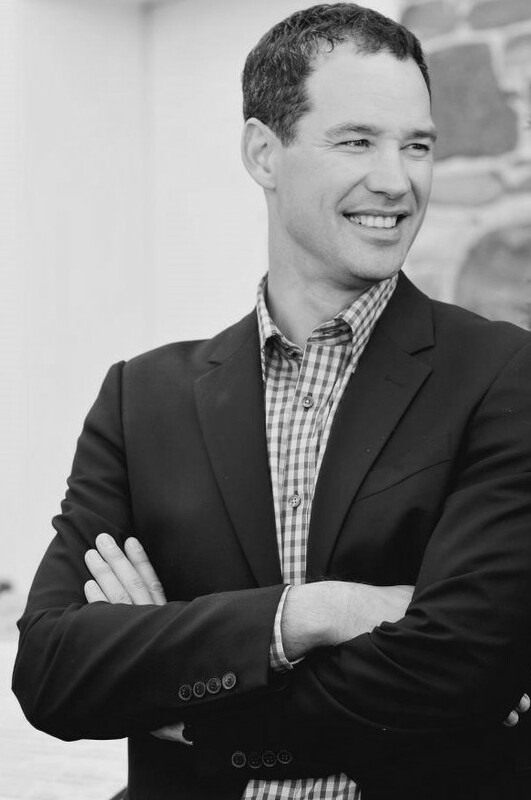 As Cloud Security Practice Lead for DXC Technology across Australia and New Zealand, Brendan is responsible for leading and expanding DXC’s cyber security practice capabilities working closely with clients to evangelise the benefits of cloud and the evolution of cyber security. 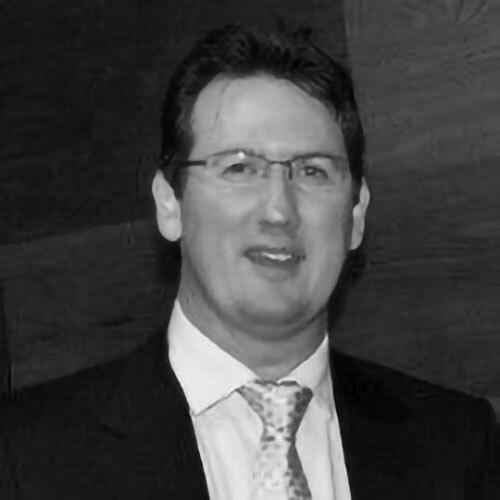 With more than 15 years’ experience in strategic planning, development, project implementation and the maintenance of information systems, Brendan has been instrumental in shaping the IT roadmap and delivering technology solutions to meet the strategic needs of a diverse range of international blue chip organisations, including financial institutions, government bodies, construction and manufacturing companies. With a genuine thirst for embracing life and not being just a passenger, Dana considers her role as Digital Leader for the Public Sector Industry at DXC as her perfect role! In Dana’s words “I get to work with our Public Sector clients to help them deliver outcomes that they have been struggling to realise themselves, and I get to help them on their paths to embedding innovation as a behaviour throughout their organisations”. “It’s all about “getting stuff done”, and really driving the value of collaboration and diversity of thought”. Prior to DXC, Dana has held a variety of senior client facing roles with organisations including Telstra, Optus, Macquarie Telecom and NICTA (Australia's Information and Communications Technology Research Centre of Excellence). Tim is a Managing Consultant with DXC Consulting and a highly experienced strategic and business consultant. Tim has a strong track record in senior program management, strategic technology development, information management, business transformation, management consulting, and systems implementation. Tim specialises in Tier 1 enterprise software across ERP, EAM, HCM, and EDRMS. He also has strong business domain knowledge in transport particularly rail, manufacturing, engineering and construction, mining and resources and government. Justin defied convention, logic and societal expectations by embarking on a journey of 1800km on foot and unassisted through Australia’s Outback with his wife and their one year old daughter, Morgan. Over 102 days they walked from the heart of Australia to the coast, battling extreme temperatures, the elements, mechanical issues and teething (of all things)! By embarking on an epic journey at the most unlikely of times, they reconnected as a family, uncovered what really is important and discovered that we are all capable of so much more than we give ourselves credit for.